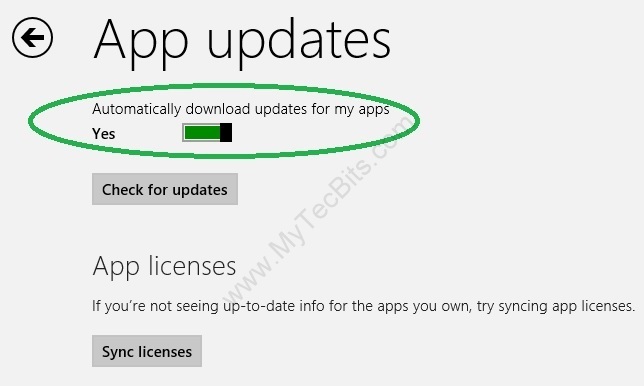 If you are using Windows 8 apps, you will find it difficult to check for app updates every now an then. In Windows 8 there is an option to update the apps automatically. But by default this option will be in a disabled state. You have to manually enable the auto update option once to make the apps update automatically whenever an update is available. Follow these simple steps for automatic app updates. Select App-Updates in the settings option. In the App-Updates screen select Yes for “Automatically download updates for my apps”. Now the apps will update automatically whenever an update is available. This is not applicable for desktop apps.